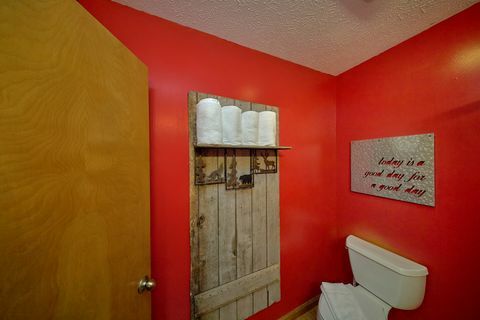 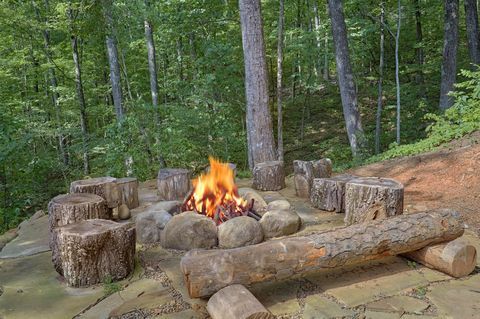 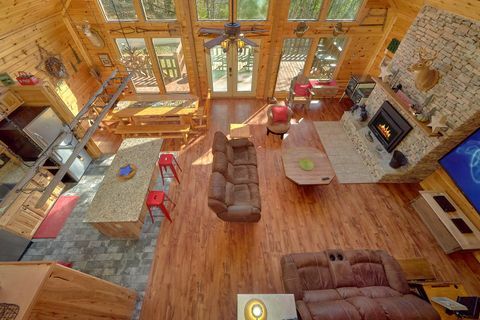 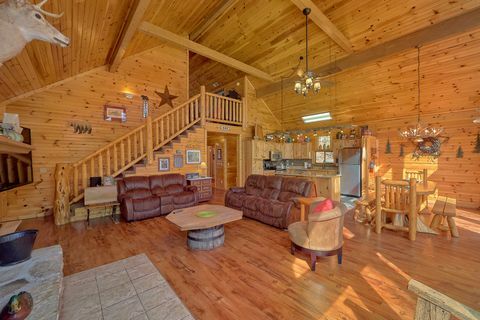 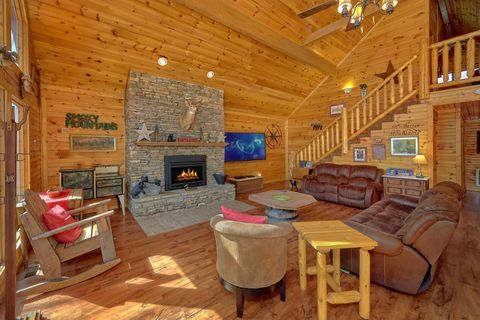 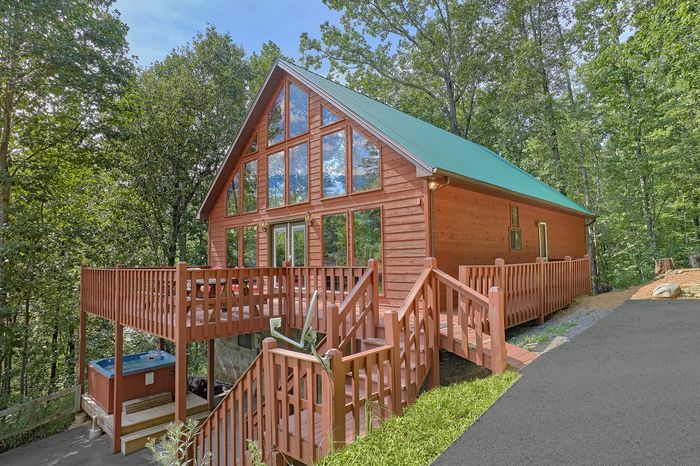 "Simply Incredible" is a luxurious 3-bedroom cabin with a beautiful secluded location just outside of Wears Valley, TN! 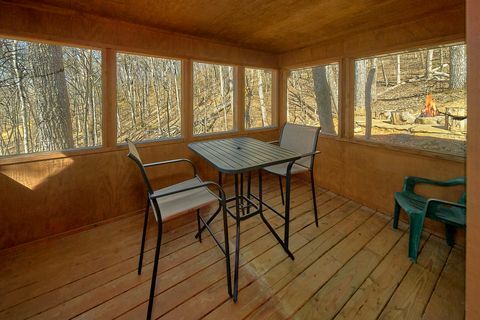 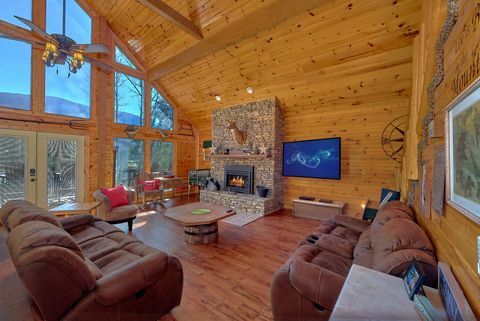 Located on a private 2-acre lot, this rental's forest setting and impressive views of nearby Cove Mountain make this the perfect place to truly get away from it all. 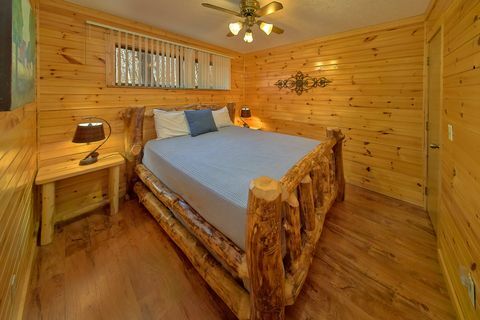 When you aren't taking your time relaxing at your scenic cabin in the mountains, you'll love exploring exciting attractions in nearby Pigeon Forge and Gatlinburg which are only a short drive away. 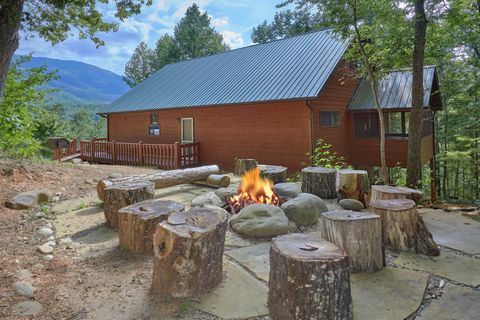 For spending more time in nature, this rental is only a short drive away from the Metcalf Bottoms entrance to the Great Smoky Mountains National Park, so it's perfect for exploring the natural wonders of Cades Cove or Elkmont. 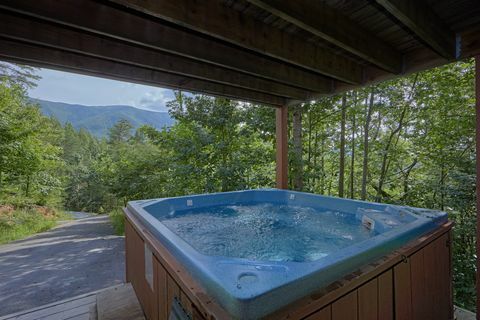 Additionally, guests can easily reach Gatlinburg via scenic roadways in the national park to bypass traffic on the Parkway. 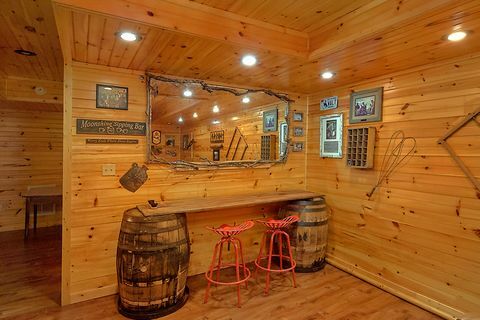 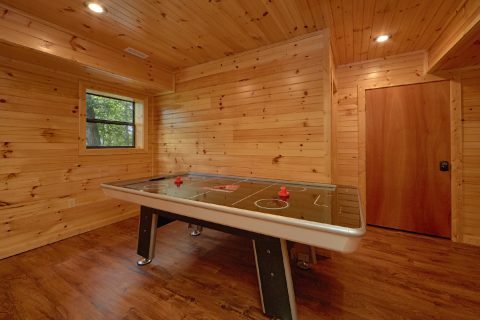 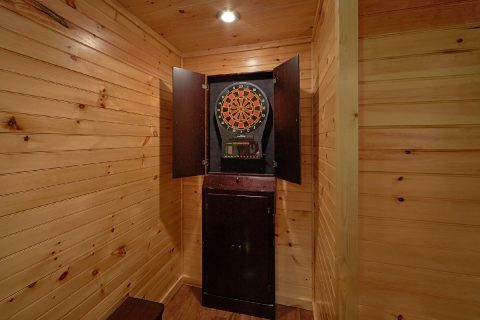 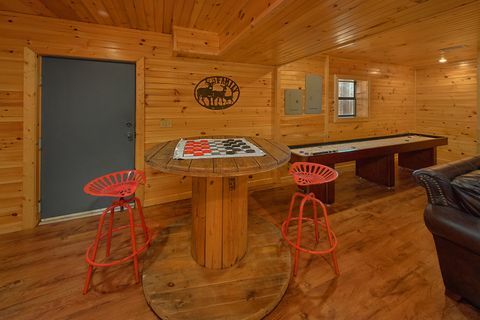 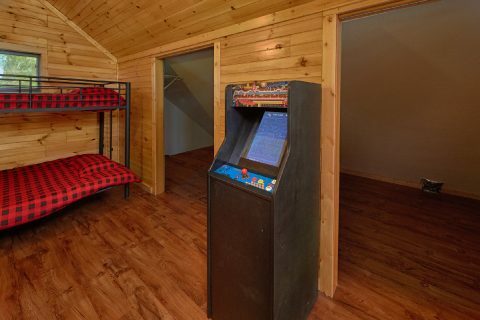 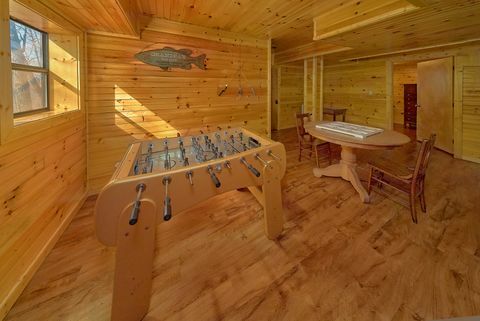 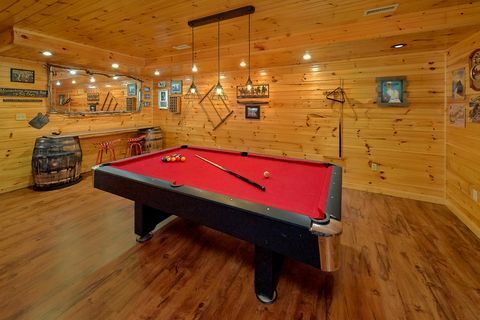 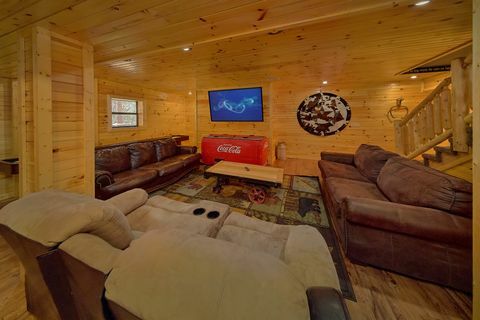 Back at your premium mountain cabin, you'll find everything you need relax including an outdoor fire pit, 2 hot tubs, a game room with a bar, pool table, air hockey game, dart board, and foosball game, and a theater room complete with a 60" flat-screen television. 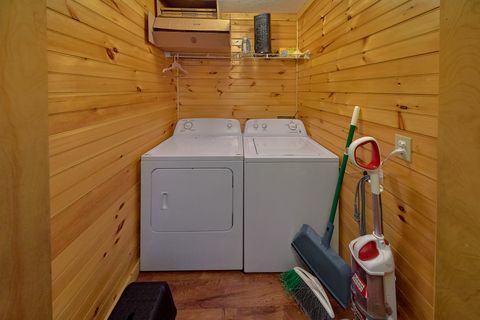 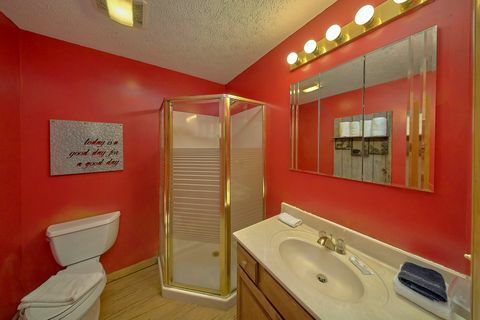 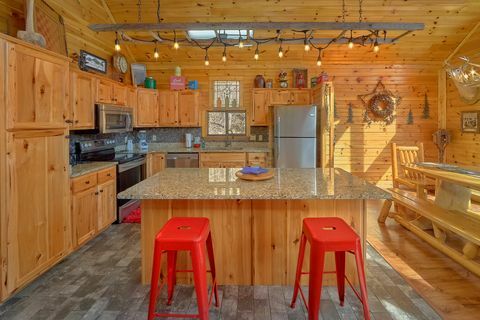 Better yet, this rental also features practical amenities like a gas fireplace, full kitchen with a kitchen Island, a charcoal grill, and WiFi internet. 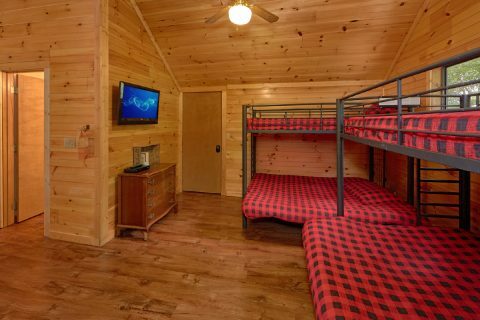 With a king bed, 2 queen beds, and 2 sets of twin-over-full bunk beds, "Simply Incredible" can sleep up to 12 guests in comfort. 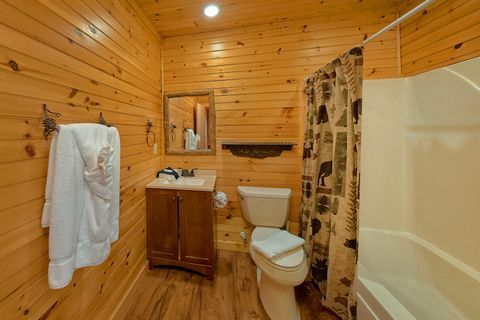 Book your secluded cabin with a beautiful mountain view today with Cabins USA Gatlinburg to earn a special discount on your nightly rate! 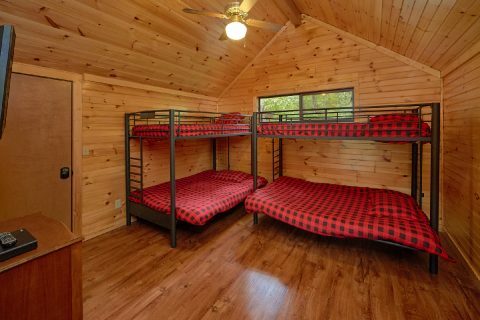 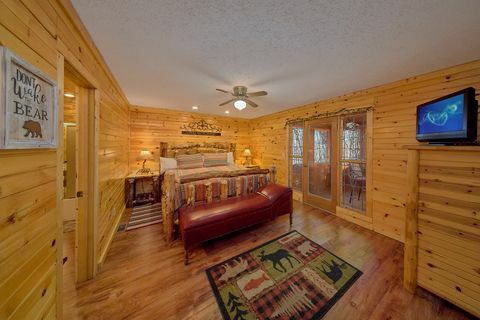 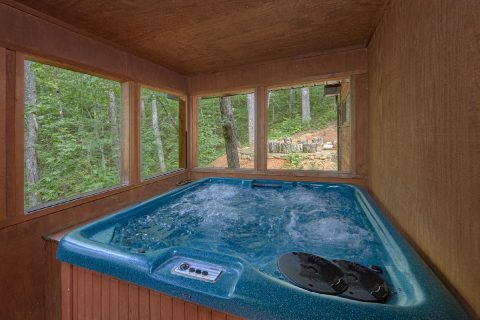 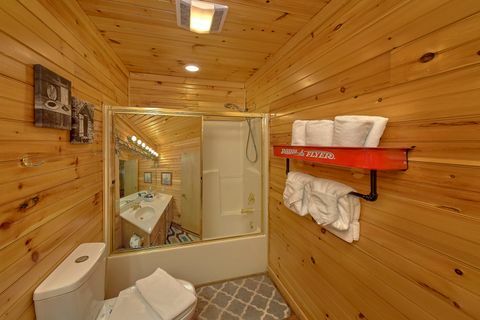 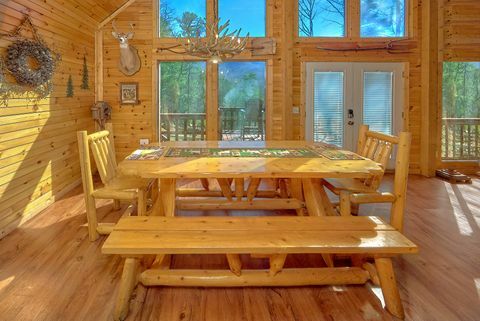 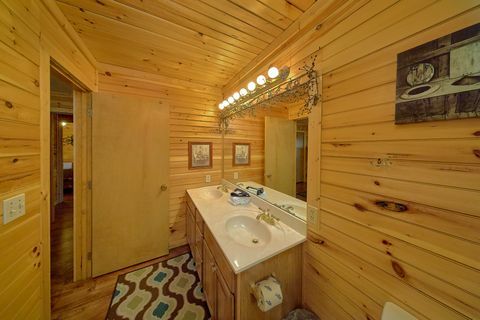 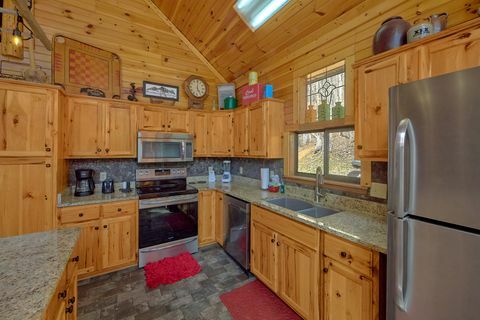 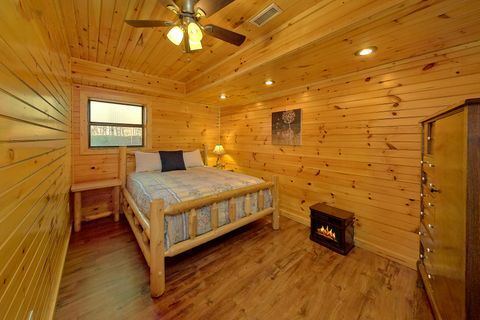 Enjoy true cabin luxury in the Smokies for less!